Despite what you may see when you walk through your neighborhood, pumpkins are good for way more than carving, painting, and their seeds. In fact, pumpkins are one of the healthiest foods you can include in your diet. As an added bonus, pumpkins are excellent for juicing. Their unique taste can make any type of juice richer and more filling. If you’re looking for more reasons to include pumpkin in your diet and if you want to be able to have good eyesight well into your elderly years, keep reading to learn more about pumpkin. As you learn about the health benefits of pumpkins, you’ll wonder why you aren’t eating them every day already. The bright, rich color of a pumpkin is from the carotenoids. Carotenoids are chemical compounds that are known for protecting your eyesight. However, carotenoids aren’t just good for eyesight, they can also improve your skin complexion and prevent cancer. You may be curious as to why pumpkin juice is often preferable to regular pumpkin. Pumpkin, as it is, is an extremely filling food. Because of that, you may only be able to eat a little bit before you get full. 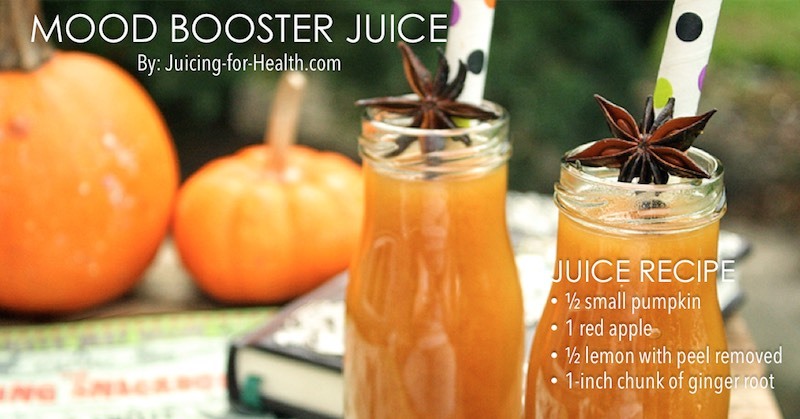 To make your pumpkin juice, simply run all of these ingredients through your juicer. A slow juicer can juice these ingredients easily and produce a smooth juice. If using a centrifugal juicer, a little more pumpkin may be needed as the juice yield is not as high as that of a slow juicer. The health benefits of pumpkin mean that it should be part of everyone’s diet. Even if you have never had pumpkin before in your life, it is not too late. Get started today!